Prolix will be a familiar name to most hardened Drum and Bass heads, with a back catalogue that has seen releases on some of the most prolific and respected labels in the industry such as Playaz Recordings, Metalheadz, Commercial Suicide, Ganja Tek, Project 51 and Virus to name but a few. His unique style of production has achieved international recognition filling Prolix with the courage he needed to establish his own imprint in 2011, the mighty Trendkill Records. As his reputation grew at an unprecedented level, Prolix soon found himself collaborating with an array of artists from across the genre such as American super producer Gridlok, Klute and Noisia, as well as remixing the likes of Ed Rush and Optical and Chase and Status. It was with his work for the latter however, that led to an introduction to pioneers DJ Hype and Pascal began the conception of sister label, Ganja Tek for the sole purpose of releasing his distinct and personal sound. Since then, Prolix‘production has gone from strength to strength, securing radio support from BBC 1Xtra’s Bailey, Friction and Mary Ann Hobbs. His most seminal release to date was the immensely popular True Born Playa/ Got to Roll, a collaboration with Gridlok and the legendary MC Fats which soared to the top of the download charts and into every self respecting DJ’s record bags the world over. So with a history of stellar collaborations, it comes as no surprise that 2012 sees MC Coppa working with the talented producer on a brand new full vocal, 5 track EP ‘On like that’. This comes in a year when prolix also released on Bad Taste, a 12” on Comercial suicide as well as a special collab with Klute, tunes on project 51 and a further 2 tracks on C4C recordings. 2011 saw prolix step in to new territory - label management. Trendkill Records is an imprint on which Prolix stamps his own identity. A label for his own work but also for any music he sees fits the ethos of what trendkill is all about. The first release was a solo effort by prolix entitled ‘Freeze Frame’ with ‘Con Artist’ by Gridlok and SKitty on the flip. The second offering is two by prolix entitled ‘Who run it’ & ‘skull Snapz’. Part of the pioneering online music community, Electronic Scene, Prolix became friends with Noisia and travelled to Holland in 2004 to write tunes which came out on Mayhem’s Shadow Law Recordings and Stakka’s label, Cargo. 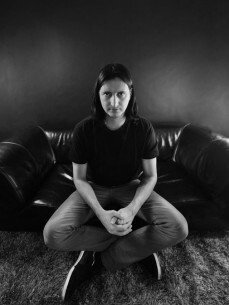 Prolix began to hone his studio skills and a collaboration with Nocturnal, ‘Crater’, was quickly snapped up by Renegade Hardware. Hearing this track, Chase & Status asked Prolix to remix ‘Barbarian’ for their ‘Ten Tonne’ EP; an event which would lead to an introduction to DJ Hype and Pascal. Quickly touted as one of ATM magazine’s ‘Leaders of the New School’, the Playaz camp recognised the unique talent in the twisted beats and mangled basslines emanating from Prolix’ studio and they wasted no time in signing him exclusively, creating a new sub-label called ‘Ganja Tek’ for this purpose. Dark and heavy, the first release ‘Exile’ b/w ‘Chokehold’ was played out by Bailey and BBC Radio 1’s Mary Anne Hobbs; subsequent releases have been bashing the living daylights out of hordes of ravers across the globe in the sets of some of the scene’s most respected DJs. The last couple of years have been the busiest yet for this highly-respected producer & DJ. A hectic release schedule saw output such as ‘The Scourge’ EP which included the massive Twisted Angel VIP (Ganja Tek), ‘Throwdown’ (Bad Taste Vol. 3), ‘Brain Damage’ (Unique) a huge remix of Ed Rush and Optical’s classic ‘Get ill’ on Virus, ‘No Pressure’ & ‘Mean streets’released on BCUK’s Bad Taste and a debut 12” on the mighty Metalheadz with Nocturnal. ‘Eruption’ and ‘Chainsaw (with Temper D)’ also gained massive support with ‘Eruption’ chosen by DJ Friction for his Ministry of Sound Mix CD. Pendulum also included it for their 1Xtra Essential Mix, along with Prolix’ remix of Gridlok and Dom’s ‘London’s burning’, released Gridloks Project 51. A seminal release on Hype and Pascals Playaz imprint - Prolix this time teaming up with Gridlok and the legendary MC Fats to produce another boundary pushing 12”, plus further releases on Viper (‘Doppelganger’ with Temper D) and Integral (‘Visualize’& ‘Lounge Lizard’) confirms this prolific producers industrious work ethic.